From Bluesworld: James "Yank" Rachell (mandolin, guitar, vocals - 87 years old) was one of the few blues musicians to play mandolin as a primary instrument . Blues mandolinists are not exactly commonplace and because he was also largely self-taught, his music was even more unique and a testament to his prowess as an instrumentalist. He was born in 1910 on a farm outside of Brownsville, Tennessee. 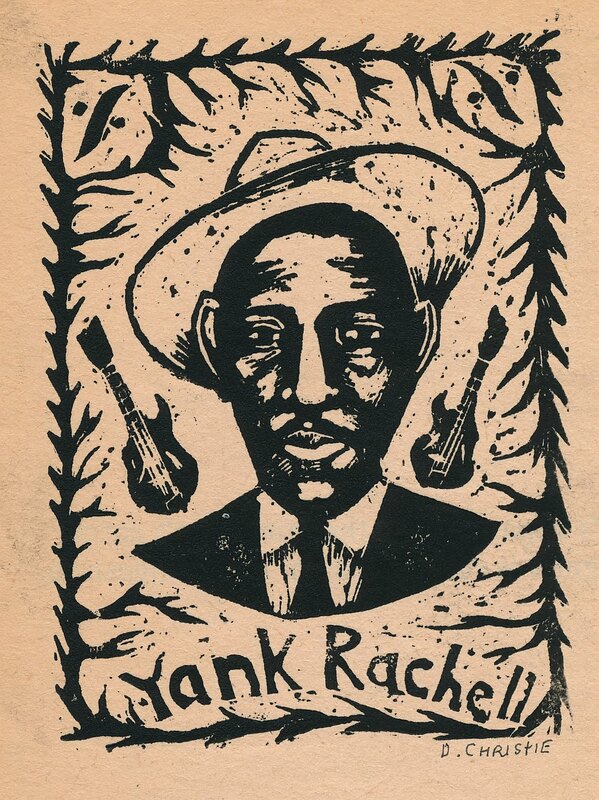 How Rachell chose the mandolin is a classic blues story. Rachell's mother had given him, then eight, a young pig to be raised for butchering that fall. One day he was walking down the road and saw a neighbor playing a mandolin on his front porch. He loved the sound and was determined to get the mandolin. Rachell asked how much he wanted for the instrument, and the man said five dollars. He didn't have the money so he offered to trade the pig for the instrument. When Rachell went home his mother was very upset. He recalled her saying "Next fall when we're all eating pork, you can eat that mandolin". It turns out he didn't have to eat the mandolin. 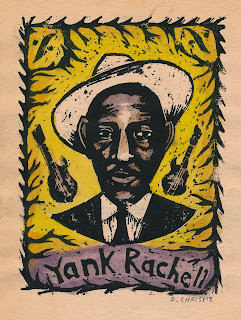 Rachell taught himself to play the mandolin and soon was making a living as a musician. 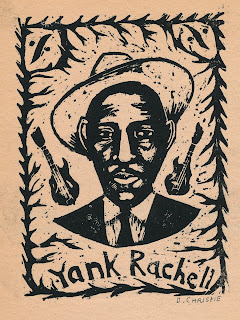 Soon Rachell met Hambone Willie Newbern (recorded the first version of the blues classic Rollin' and Tumblin in 1929), who became his mentor. The two performed in and around Brownsville at house parties and fish fries. It was at one of these parties that Rachell first met and played with Sleepy John Estes (whom Rachell played and remained friends with until Estes' death in 1977). 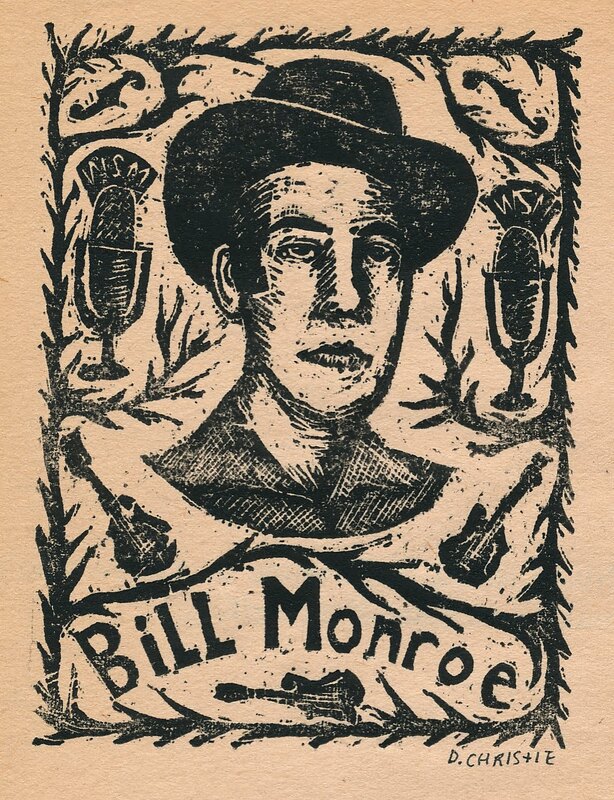 Inspired by the great book Can't You Hear Me Callin- the life of Bill Monroe, Father of Bluegrass by Richard D. Smith. 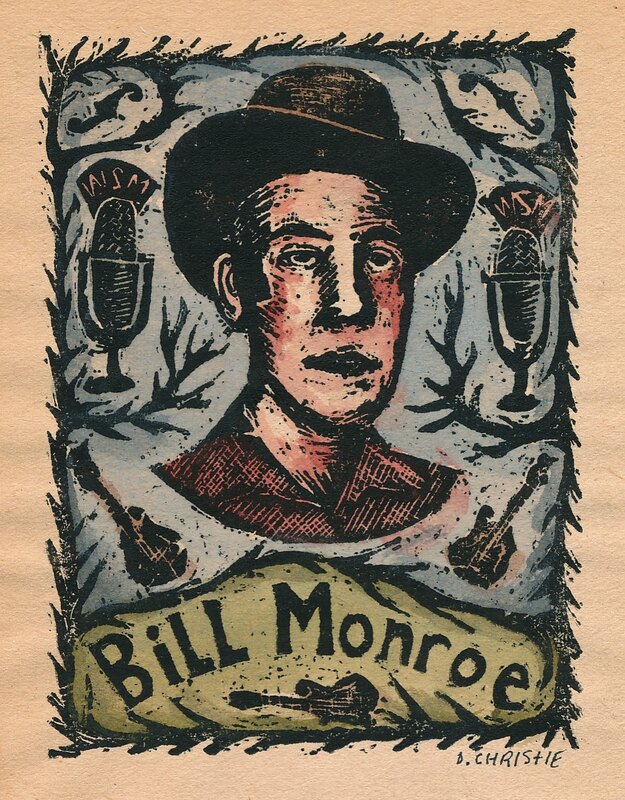 While I agree with Sam Mghee that "bluegrass is just old time music played too fast", I really enjoy Monroe's bluesy mandolin style especially on the tracks Tennessee Blues, Rotation Blues, Heavy Traffic Ahead, Muleskinner Blues, The Blue Yodels, and Wayfaring Stranger. 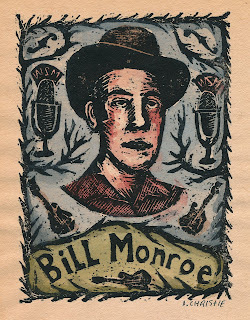 This is due to the fact that Monroe, at a young age played with and was inspired by a Kentucky blues musician named Arnold Schultz who played the guitar and the fiddle. Sadly, Schultz was never recorded. 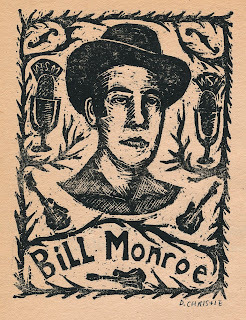 Monroe is also responsible for the enormous popularity of the F Style mandolin. 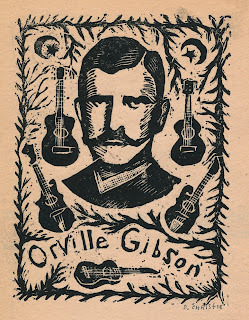 Orville Gibson (the first of my new series: Important Individuals in the History of the Mandolin) 3"x4"
Orville H. Gibson (1856, Chateaugay, New York - August 21, 1918, Ogdensburg, New York) was a luthier who founded the Gibson Guitar Corporation in Kalamazoo, Michigan in 1902, makers of guitars, mandolins and other instruments. 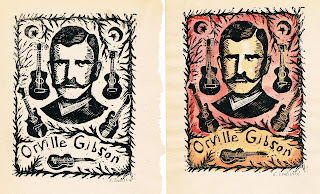 Gibson began in 1894 in his home workshop in Kalamazoo, Michigan. 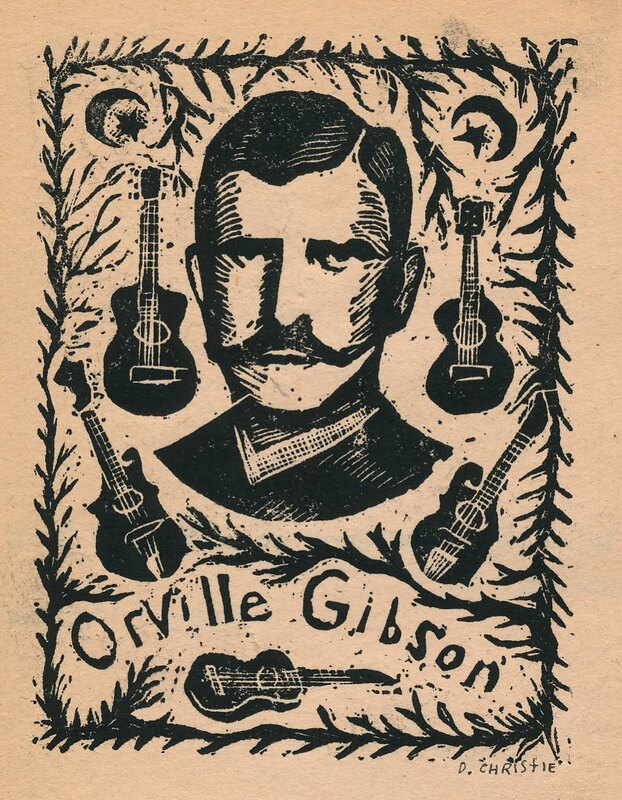 With no formal training, Orville created an entirely new style of mandolin and guitar, with tops carved and arched like the top of a violin. His creations were so different that he was granted a patent on his design. More important, they were louder and more durable than contemporary fretted instruments,(4)and musicians soon demanded more than he was able to build in his one-man shop. 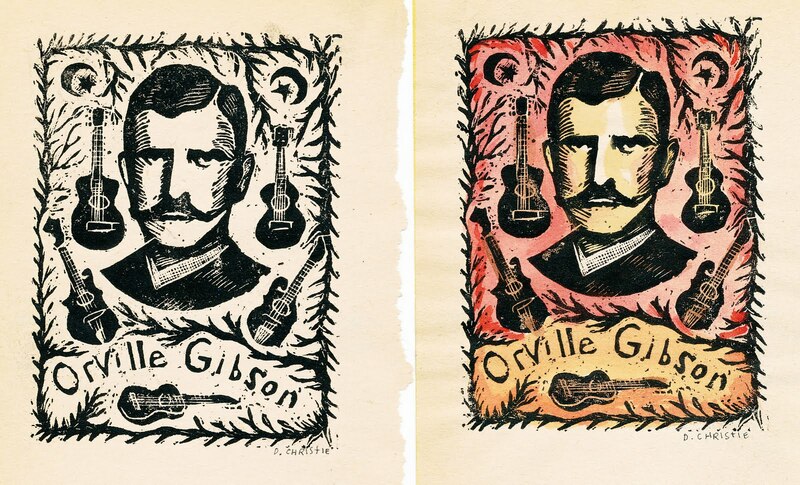 On the strength of Orville Gibson's ideas, five Kalamazoo businessmen formed the Gibson Mandolin Guitar Mfg. Co., Ltd., in 1902. 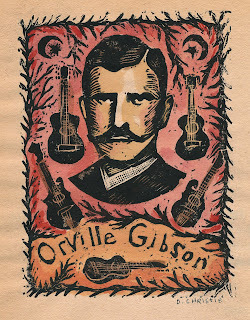 Within a short period after the company was started, the board passed a motion that "Orville H. Gibson be paid only for the actual time he works for the Company." After that time, there is no clear indication whether he worked there full-time, or as a consultant. 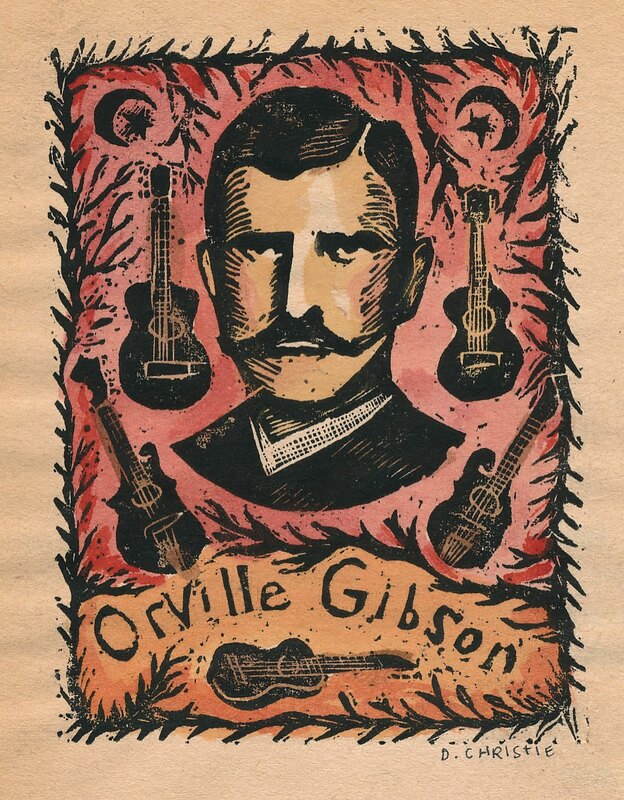 Orville Gibson was considered a bit eccentric and there has been some question over the years as to whether or not he suffered from some sort of mental illness. A bunch of my linocut prints are up in the Pike Street Press (at Alaskan Way and Pike). From their website: Pike Street Press is a custom Letterpress Studio and Retail store/gallery located in Seattle below Pike Place Market. The Gallery showcases local letterpress artists,we host everything from prints and broadsides to cards and mixed printed ephemera. Feel free to head over and purchase away! Thanks to Sean for taking this picture with his iphone!